I can’t believe that this turned out so good. The taste of the chicken that had been marinated in Tequila and lemon juice was so refreshing. 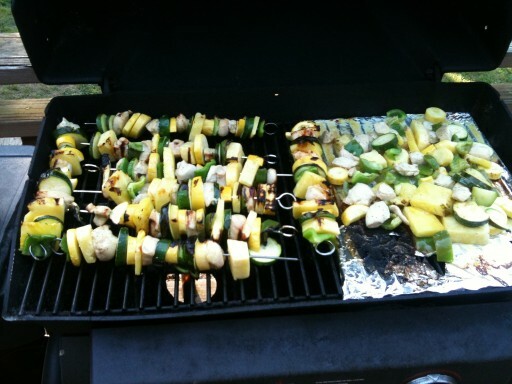 All of my guests loved it and even my almost 2 year old nephew ate his first Squash and Zucchini. 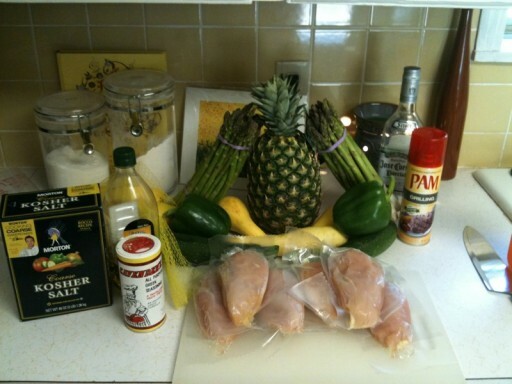 Cut up 6 organic chicken breasts into chunks and marinate chicken for 8 hours. 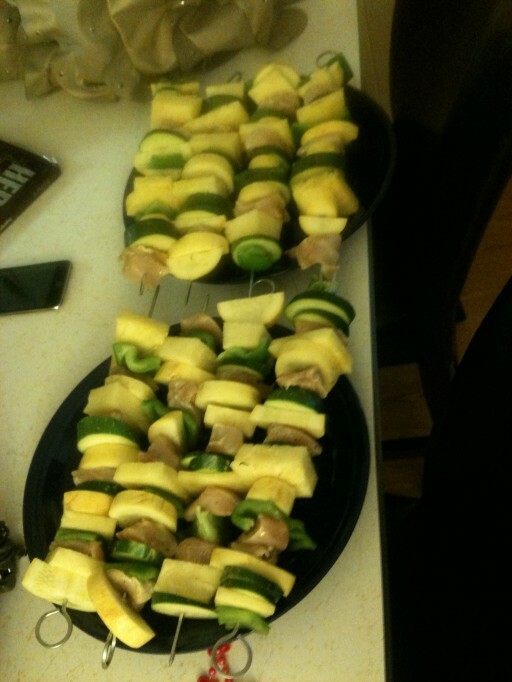 Once the chicken has soked up all of the goodness, chop up the rest of the fruits and veggies to skewer them. Put them on the grill. 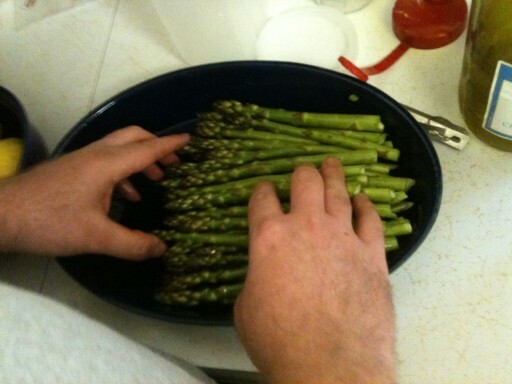 Time to prep the asparagus. 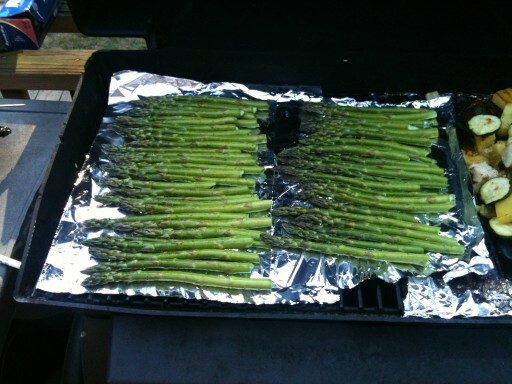 Coat the asparagus with olive oil and sprinkle with Kosher Salt. 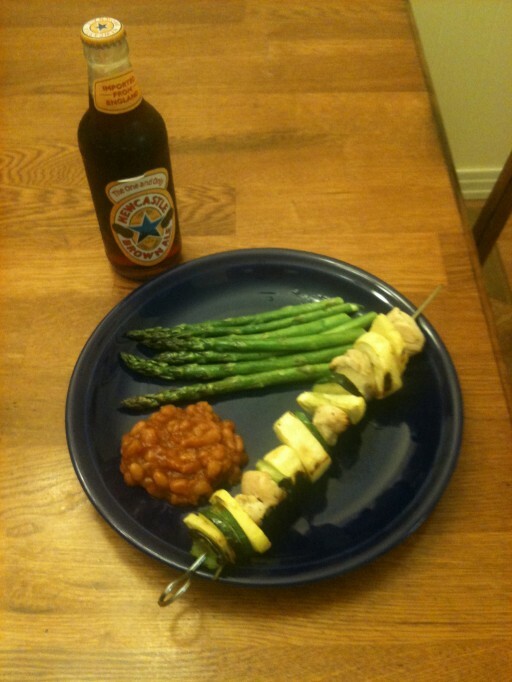 Put asparagus on grill till soft. Talk mother-in-law to bring her awesome baked beans. Plate it all up and pop “The One and Only” New Castle. I'm a Husband, Father, System Administrator, Web Designer, Web Developer, Tech Junkie from the Ozark Mountains in Northwest Arkansas. I love to grill and make some awesome pork in my smoker.